It may come as a surprise but, God doesn’t like every prayer that is lifted up to Him. Many find this out the wrong way. When most first come to know God they believe that it is about how loud you pray and the duration of the prayer that will move God to bring an answer. Day in and day out, they pray persistently hoping to hold God’s arm behind His back and do what they command. Praying like this turns into days, then months, some even years. Soon, they begin to realize that this is no easy task to pray like this. It can bring confusion and frustration. At the end of it all, the results just don’t arrive. 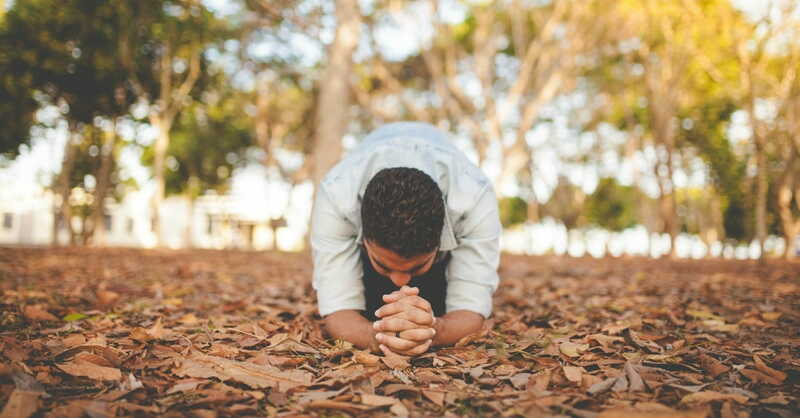 Time and again, many Christians have started and stopped this way of praying not just once, but countless times, and all to little or no avail. Christians who seek God with their heart find it strange and difficult to pray with such restriction. For those who get deluded into thinking prayer is about how loud and how long one prays, quickly find themselves fruitless in their prayer results. Truthfully, according to the Bible, that is not how God wants prayer to be made to Him. He wants your heart. Many who find themselves frustrated through praying in this manner, end up realizing soon after that God has been trying to get them to stop because their heart was not in it. Most can remember when they first started really praying to God. They’d close their eyes and some would sit while others stood, based on what they believed God preferred. They would press into prayer and hope to last a long period of time praying. Many open their eyes only to realize what they thought was 30 minutes was really only 5 minutes. Disappointment quickly set in. It seemed like this special hour that they had set aside was slowing down and taking forever to pass. The question to ponder is if the person praying doesn’t enjoy this time in prayer, does God really like it either? Everyone has spent time in the presence of someone who didn’t want to be there. It was awkward, to say the least. If God isn’t enjoying your prayer and neither are you, then why are you praying? From the Lord’s perspective, taking thirty minutes or even an hour to pray every day has no value in and of itself. Ask most these days and countless numbers will suggest that longer prayer produces better results. They believe that if they draw out their time praying that somehow that will make God move. They honestly believe that praying longer is the answer to getting fruitful results. However, that is not the key to better prayer results. Take Jesus for example. He is the ultimate example of a prayer warrior. In Scripture we see Him praying for short periods of time. Not always, but often, as some do take note that two times in the Bible it mentioned that Jesus prayed all night. The bottom line is that Jesus Christ, Himself, didn’t pray for long durations of time all the time. Truth be told, often it’s short inspirational prayers that require more faith. Think about it. Even just asking for help from God is a great and powerful prayer. Jesus called Lazarus out of the tomb in John 11:43 with just 3 words. Now that is short yet powerful! As one grows closer to God, prayer often cleans itself up and shortens. Remember, the shorter the prayer, often the greater the faith. When prayer goes on for a long duration, many pray in tongues because they run out of things to lift up to the Lord using their understanding. The Bible says that when a person prays in tongues they are praying the perfect will of God and edifying themselves spiritually. Essentially they are praying for and receiving wisdom and revelation from the Holy Spirit. Most churchgoers today view prayer as a means in which to make requests from God, and not so much a time to fellowship with Him. It is taken as a time to perhaps whine and complain, or beg for their needs to be met. There is a place to request that one’s needs are met but that should make up a very small part of what prayer is to a Believer. A powerful prayer life is 95% praising and worshiping God with only about 5% spent on asking Him for things. This is not the only way to pray but one that has proven to be powerfully effective.